ABC Fire Inc. has experience testing, installing, and servicing all types of Fire Pumps and there apprentices. We can perform all testing intervals weekly, as well as provide yearly flow testing. Many customers may not know there is a weekly no flow (churn) test required for both diesel and electric fire pumps, but they are critical to ensuring your system functions properly. Annual Testing will require one of our state certified technicians to flow water from Fire Pump to compare with original acceptance test. 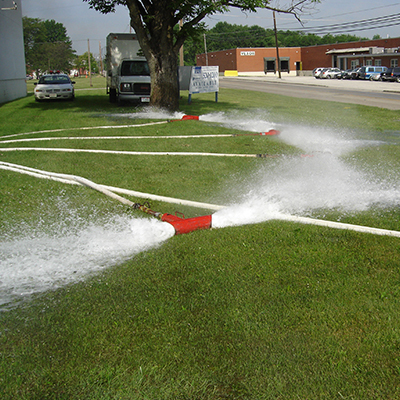 Contact us today to schedule a test of your Fire Pumps and Controllers!